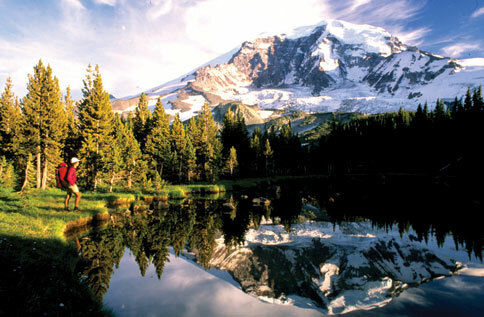 Thinking about heading out to visit one of our beautiful National Parks this Labor Day Weekend? 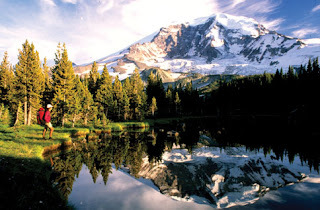 Visit nps.gov/findapark for an index of National Parks in every state! Order a FREE Disney Parks Vacation Planning DVD, just fill out the form and it will arrive in the mail, you won't receive any sales calls, you aren't committed to anything. It's fun to watch if you are thinking about a trip or you are just curious about what it's like at the Parks. Time for the FREE Home Depot Kids Workshop Again! Tomorrow is the first Saturday of the month so that means time for the FREE Home Depot Kids Workshop. Saturday September 1, 2012 Hours are 9am-12pm. Kids get to build a different project every month and they get a Home Depot apron and a pin for every craft they complete, this month's craft is Goal Post Football Game. Find out if your local Home Depot is participating Here. We try to take our 5 Yr old Daughter every month, she loves it and is so proud of all her pins on her apron and we love it because it's FREE! 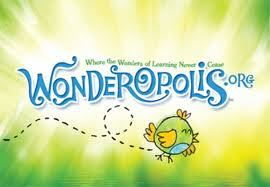 Really cool learning site for kids, Wonderopolis.org! Another cool feature, if you have a website or blog you can add the Wonderopolis Widget to your site so your readers can see the Wonder of the Day! 6 Issues FREE, Working Mother Magazine! Get a 6 month subscription absolutely FREE to Working Mother Magazine, no strings attached, no credit card required and you are not required to sign up for any of the offers at the bottom of the page. It's just FREE, Click on the banner below! If you love Sangria you will love this quick version, my friend shared this little secret with me and I think it's absolutely genius. Yes I know there are a lot more complicated recipes out there for Sangria but this is just a quick version if you don't have all the ingredients and it tastes great. All you need is red wine and seven up or ginger ale, mix to taste, chill in the fridge with some yummy summer berries or grapes and peach slices, easy as that! FREE Prilosec Sample is Back! Grab your FREE sample of Prilosec here! What are we in High School again??????? Alright I'm sure you all are going to tell me to lighten up and that it's just a joke, I get it, I get it. I'm the first one to laugh at a lot of these cards but I didn't think this one was funny, I know it's supposed to be funny because it's exaggerated and over the top but it still just rubbed me the wrong way. What makes only owning 6 pairs of shoes funny? What if you only had 3 pair of shoes would it just be gut busting hilarious? I'm guessing 1 pair of shoes would cause you to have to change your pants. When our children see things like this do they know it's supposed to be a joke? I'm not going to go into a big spiel about how a lot of us feel the need to have so many things to feel worthy and validated and that we teach our children to just want more and more. I'm just wondering if anyone else finds it disturbing and sad that this is the kind of thing that we are supposed to find funny? It's just an adult version of the mean kids in grade school and high school but instead of saying it face to face we can just "share" it on our "wall" or forward it in an email with "this is hilarious" in the subject line. FREE Sample of Kirkland Diapers, You don't need to be a member! Get a FREE sample of Kirkland Diapers, pick the size you need! You don't have to be a Costco member! FREE Diaper Sample! Muscle & Fitness Magazine, 1 Yr only $ .33 an issue!! 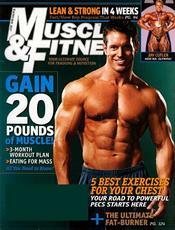 Wow you can get Muscle & Fitness Magazine for only $ .33 an issue if you buy this 1 Year subscription. Not sure what this sells for on the shelf at the store but seems like a good deal to me! Use the FREE carstore.com app to send your FREE Grandparent's Day Card! If you liked my previous post about the FREE Grandparent's Day card then you'll love this phrase "there's an app for that", download the FREE cardstore.com app personalize your card then they'll stamp it, address it, and mail it for you! They have a huge selection of cards so it's easy to find a card for any and every occasion. And get this, you can connect to Facebook reminders and never miss another birthday. Download the FREE Cardstore iPhone app Now! Real Cards Straight from Your Heart, By Way of Your iPhone! Download the FREE Cardstore iPhone App Today! Send a Grandparent's Card absolutely FREE! Hurry ends Sunday! Send a card like this or choose from many other designs, tell cardstore.com where to ship it and they will send it to whomever you choose just in time for Grandparent's day and it's all absolutely FREE, the card and the postage. FREE Grandparents Day Cards + FREE Shipping at Cardstore.com! Use Code: CCK2248 at checkout, Valid 8/23 thru 8/26. Shop Now! FREE Kids Helmets in Tukwila, Saturday Sept. 8! If you need a helmet for your child or know somebody that does, Seattle Childrens and Kohl's Cares are giving away free helmets and fittings on Saturday Sept 8, 10am-1pm in the Kohl's parking lot in Tukwila WA. Child must be present to be fitted for the helmet, quantities are limited so you may want to get there early! FREE Car Wash Day at Brown Bear Car Wash! 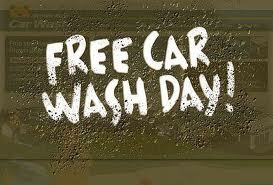 If you live in the Puget Sound area you can take advantage of FREE Car Wash Day at Brown Bear! They are celebrating their 55th Anniversary by giving away FREE Tunnel Washes from 8AM-8PM, take that dirty car to Brown Bear for your FREE wash! Go to BrownBear.com to find locations! Join the BIG 5 E-Team and get a 10% off coupon at BIG 5! Join the BIG 5 E-Team it's FREE and get exclusive e-mail offers and weekly ad specials. If you join today you get a 10% off coupon for your next in-store purchase. Click on the banner for details. FREE Cardstore App Makes Life a Little Less Hectic! I've blogged before about Cardstore.com and how I think it's the best invention ever, well now they have a FREE iPhone app so you can choose your favorite card, personalize it with your own message and pics from your phone. The rest you can leave to Cardstore. They'll stamp it, address it, and mail it for you! They have a huge selection of cards so it's easy to find a card for any and every occasion. And get this, you can connect to Facebook reminders and never miss another birthday. Download the FREE Cardstore iPhone app Now! Really inexpensive 5yr old Girl Unicorn Birthday Party Ideas! A couple weekends ago was my daughters 5th birthday, so far every year I've done a party at home to keep the cost down, the weather is nice so the kids can play in the backyard and I don't have to rent a party room somewhere. My daughter wanted a Unicorn party so here are some of the ideas I came up with. I based the color scheme on a quilt and unicorn pillow pet that she had and I set it out for decoration. I made these pennants to string all around the room from 1 book of craft paper from the dollar store and some curling ribbon. I bought this game pin the horn on the unicorn from eBay for less than $5, the did have them at oriental trading cheaper but if I paid shipping it ended up being more expensive. It was an easy game that little kids could play and it also served as a decoration. One trick I like to use is to buy a couple colors of plates and napkins at the dollar store and then alternate them, or to save money on the preprinted theme plates and napkins buy one of each and then buy a plain colored plate and napkin that goes with the preprinted theme plate and napkins and then alternate one theme plate, one plain color plate and so on. The theme plates and napkins are so expensive, they only put 8 or 16 in a package for $3.99 so if you bought enough for everyone you would end up spending $20.00 just on plates and napkins, you can find packages of 20 of the plain color supplies at the dollar store, I spent $4, 2 packages of plates and 2 napkins! I bought the marshmallow poles from the dollar store, I thought they looked like unicorn horns. I used a vase I already had and shredded the leftovers from the pennant decorations to put in the bottom of the vase. I ended up not buying a table cloth I just laid out some old baby blankets that were pink and white, I got some of the smooth n melty mints that had the pastel unicorn colors that I was looking for. We just blew up our own balloons (package of 25 from the dollar store) and hung a bunch from the ceiling with curling ribbon, there is a helium shortage in the US right now so I wouldn't have been able to get them filled even if I wanted to. Ok don't laugh, the cupcakes were supposed to look like unicorns but they ended up looking like gnomes, oh well it was a bunch of little kids and they didn't care, they just thought it was fun to eat a sugar cone and a cupcake. I did have a bunch of food, veggies, fruit, hummus, I don't have a picture but I didn't buy anything precut I just cut everything myself and used my own platters to keep the cost down. I found this great idea for water bottles on Pinterest, you can find duck tape now in fancy designs, I found this at Joann Fabrics and used a 40% off coupon so it ended up being about $2, then you just wrap the tape around water bottle labels or anything you want to decorate. As thank you gifts for all the kids I decided not to do the bag of goodies that usually gets thrown out right away anyway, I made everyone a journal out of the plain journals that you can buy for $ .50 or less right now wherever they sell school supplies, then I glued a ribbon to the inside of the back cover to pull forward and use as a bookmark, you can see my tutorial from an earlier post Journal w/Bookmark Gift. I personalized the front of each one with the child's name, I just used my printer and some fun fonts and glued it to the front. The parents were happy not to get a bag of junk and all the kids are just learning how write their letters so they can practice writing or coloring in their own special journal. I was happy with the turnout, I spent a minimal amount of money and honestly kids would have fun no matter how much I spent, they just want to play and eat cupcakes! Tape a Stain Removal Cheat Sheet close to your washer! A friend told me about this and I thought it was a great idea, she hung a stain removal cheat sheet right near her washer so she didn't have to search around if she found a stain, everything is right there in front of you. The one she suggested is from Martha Stewart.com, most of the ingredients are items you have at home already vinegar, lemon juice, rubbing alcohol etc......click on the link to print it. There are so many deals going on at woot.com , I know it's way to early to think about Christmas but I'm grabbing some of these deals right now before they are gone and I will be all set come December! These are just a couple of deals I saw but there are a ton more! Razor RipStik $30.00 and only $5.00 to ship it!!!!! Malibu Cruiser Scooter $39.00 and only $5.00 to ship! Next week is the last week for $1 Movies! I realize I've been MIA all morning but we were taking advantage of the Regal Summer Movie Express $1 movie, you can still go tomorrow at 10am and see The Smurfs or Arthurs Christmas for only $1. Next week 8/28 and 8/29 is the last week for the $1 movies, you can see Mr Popper's Penguins and Alvin & the Chipmunks Chipwrecked, then it's back to the real world for all the school kids and parents!!!! I love it when the guys read my blog and come up with ideas for posts! One of my Besties had us over this weekend and her husband told me about this and I thought it was absolutely genius, he was at work and had spilled coffee on the front of his white work shirt, obviously he doesn't want to walk around all day with coffee on his shirt so he grabs some gel hand sanitizer and puts it on the stain and it disappears. He wanted to prove to me that it really worked so he uses some on a red wine stain on the counter top and it absolutely works, I'm not saying use it for everything but most of us have hand sanitizer with us all the time or on our desk or in the car so if an emergency stain situation comes up try using your hand sanitizer. It has to be the kind that contains alcohol, the alcohol free does not work the same. Just click to print this BOGO Coupon, sounds like a deal to me! If you are still looking for an Air Conditioner check out Woot.com! $5.00 ships everything no matter how many items you buy! 10,000 BTU Portable Air Conditioner $369.00 shipping is just $5.00! 12,000 BTU Portable Air Conditioner $389.00 shipping is $5.00. 13,000 BTU Portable Air Condition $429.00 plus $5.00 shipping. Discover Magazine $4.99 for 10 Issues! What do pack in your Kids lunchbag? Emergency Use for Baby Oil or Cooking Oil! Genius Journal w/Ribbon Bookmark Idea. High Value Coupon for New Nutty Delights! Urban Farm Magazine only $4.50/year! FREE Subscription to Watch Magazine....18 Issues! 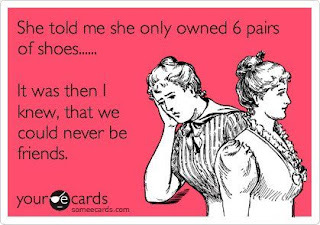 Famous Footwear Coupon BOGO 1/2 Off plus 15% off! Send a FREE Card to a Friend for Friendship Day! FREE Kids Workshop Saturday at Home Depot! Simple Syrup is Super Simple to Make! On the Border, FREE bowl of original queso!! !